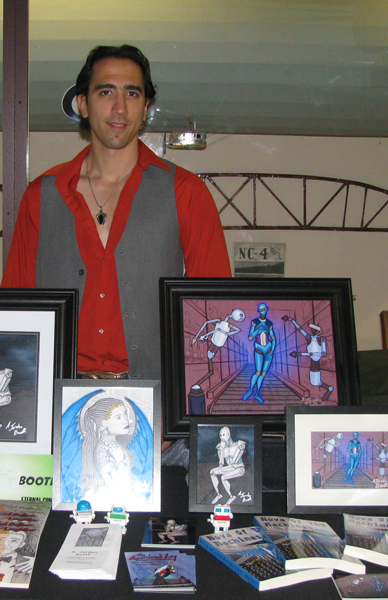 This past weekend I was fortunate enough to exhibit as a creator in the artist’s alley at Long Island Eternal Con. This was hosted at the Cradle of Aviation Museum in Garden City New York, a very cool venue for a comic convention. This is only the second comic con I’ve ever participated in and it was a lot of fun. As a writer, seeing other’s creativity is a great inspiration and boy was in in abundance at Eternal Con! Other authors, artists, and even cosplayers all displaying their talents just makes me want to write some more! 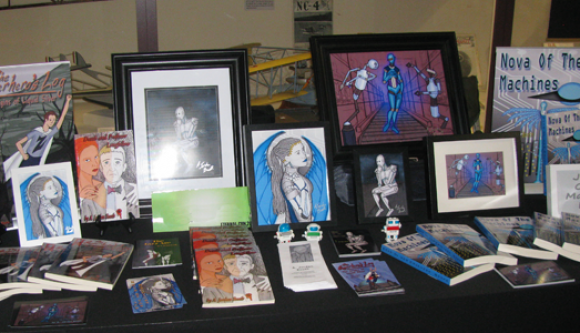 On display I had some prints of my original artwork, and my three print novels: Nova of the Machines, The Superhero’s Log: the Origins of Liquid Silver, and Death and Professor Longfellow. 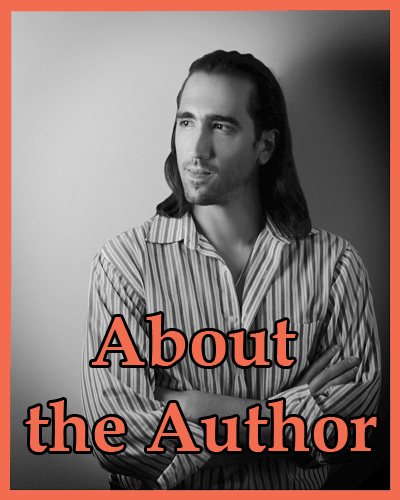 So many people were excited about my writing, it really makes me want to pick up pen and paper and get to it! The next project of course! Right now I have one novel at the copyright office, another in the final stages of editing, and have been slowly starting a new adventure story from scratch. 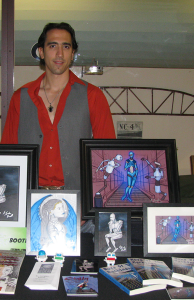 I’ll be looking to exhibit and future comic cons! Keep tuned in the coming months for more info.